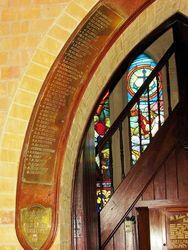 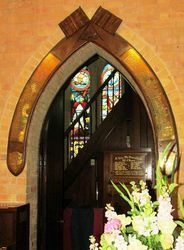 An honour roll in the form of a wooden arch mounted above the door leading from the main body of the church to the bell tower and war memorial carillon commemorates those who served in World War One. 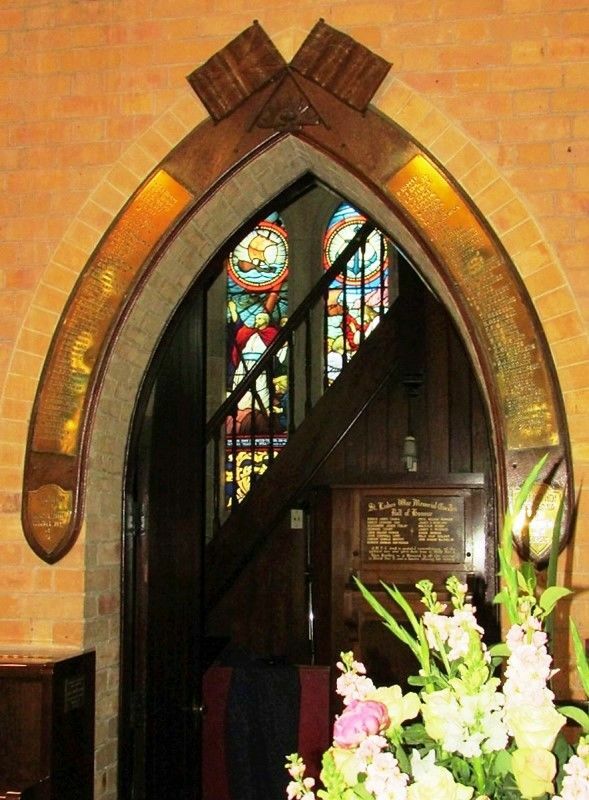 It is surmounted by a wooden Rising Sun badge above which are wooden flags - Union Jack to the left and Australian flag to the right. 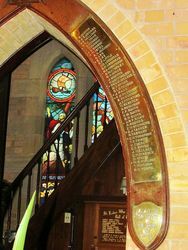 Names of those who served are listed on brass plaques affixed to the wooden arch. 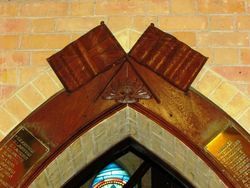 Two smaller brass, shield-shaped plaques are attached to the bottom ends of the arch.